LEAH STEWART was born in 1973 at Laughlin Air Force Base in Texas, the daughter of an Air Force officer and an elementary school teacher. As a child, she lived in Virginia, Idaho, England, Kansas, and Virginia again. She went to high school in Clovis, New Mexico (a town featured in her second novel, The Myth of You and Me); college at Vanderbilt University; and graduate school at the University of Michigan. Since then, she has lived in Boston and Chapel Hill and held visiting writer positions at the University of the South in Sewanee, Tennessee; Vanderbilt University; and Murray State University in Kentucky. Now a professor at the University of Cincinnati, she lives in Cincinnati with her husband and two children. 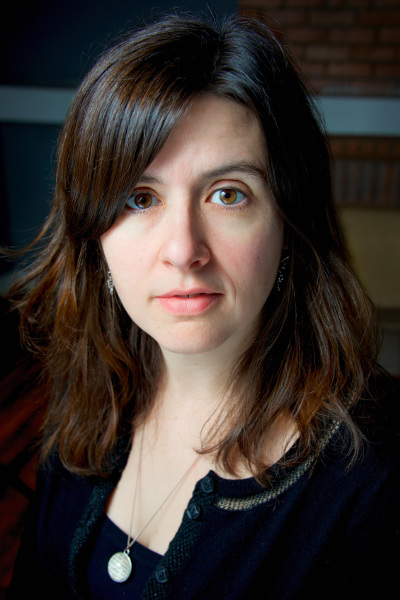 In 2010, she was the recipient of an NEA Literature Fellowship and in 2014 the recipient of a Sachs Fund Prize. Her fourth novel, The History of Us, which is set in Cincinnati, is on the The State Library of Ohio, Choose to Read Ohio list for 2015–16. Check out her website here and Twitter. The book is in stores on Tuesday, March 27.